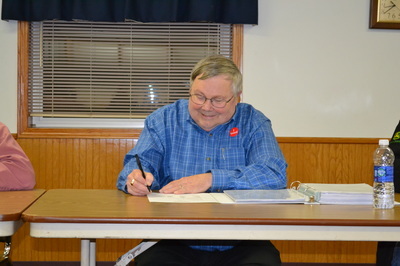 The polling place is the same, Middleville Township hall. 7AM to 8PM. 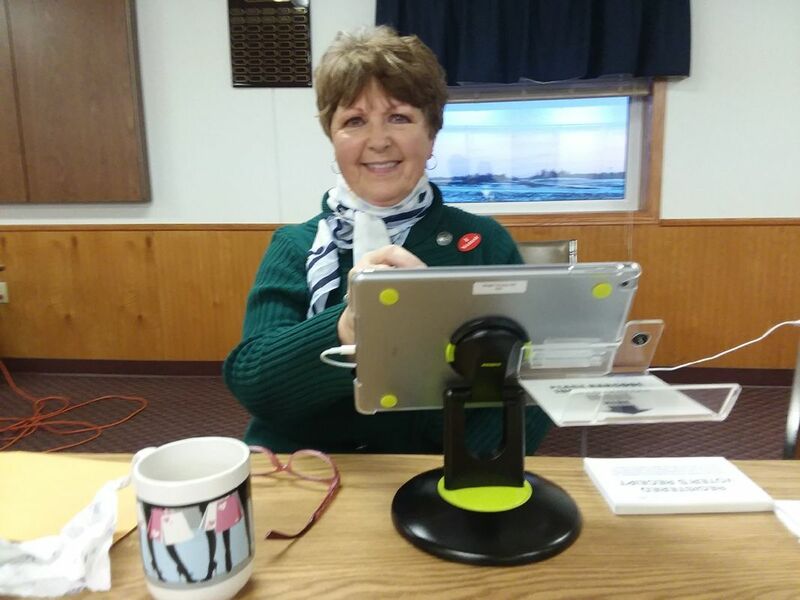 OK, ok, not Millie, but Mary Raymond, in her official capacity as Election Roster Judge during the township election on March 13, 2018. What is significant here is the 'Poll Pad', a new device implemented county wide to update, track, and access voter registration data. No more pencils, except for the actual ballots. The township election is held every year on the second Tuesday in March. Jim Raymond, Supervisor Chair, presented the levies for next year. Joey Berg, Clerk, furiously recording the motions and seconds. 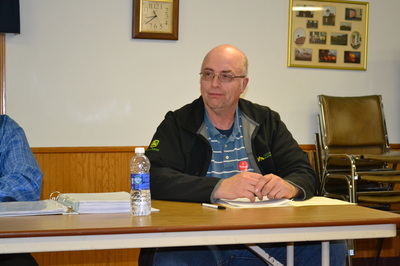 Randy Klugow gave the report on the condition of the town's rolling stock. 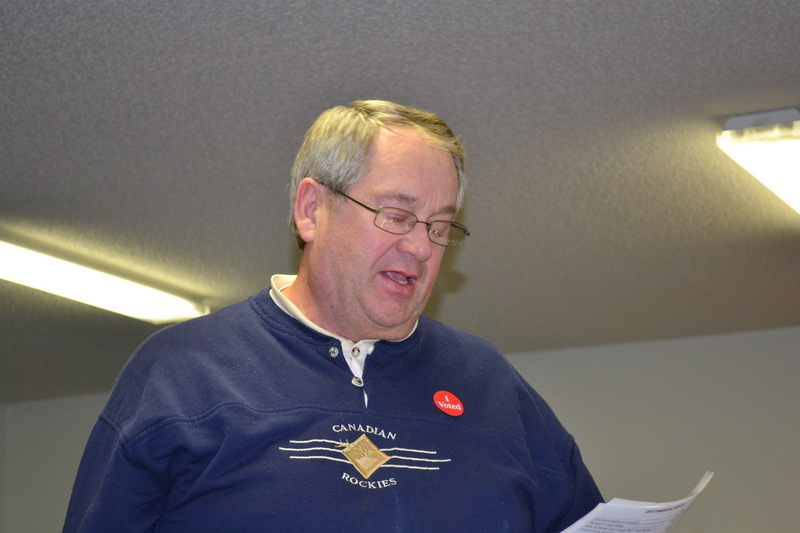 Dan Kyllonen, Planning and Zoning, reported on the permits for 2015. What does the township spend money on? one word: roads. See below. 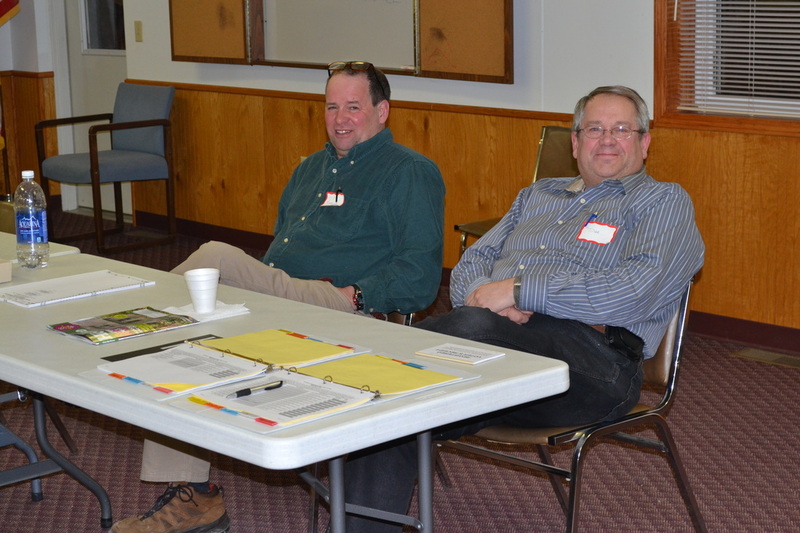 This ain't Florida: the town election staff on 10 March, 2015. The polls were open for 10 hours, with 30 voters, that's a voter every 20 minutes. Kevin Miller on the left, Dan Kyllonen, right. 2014 was a tough year for Middleville farmers, what with the record rains throughout the spring preventing planting. 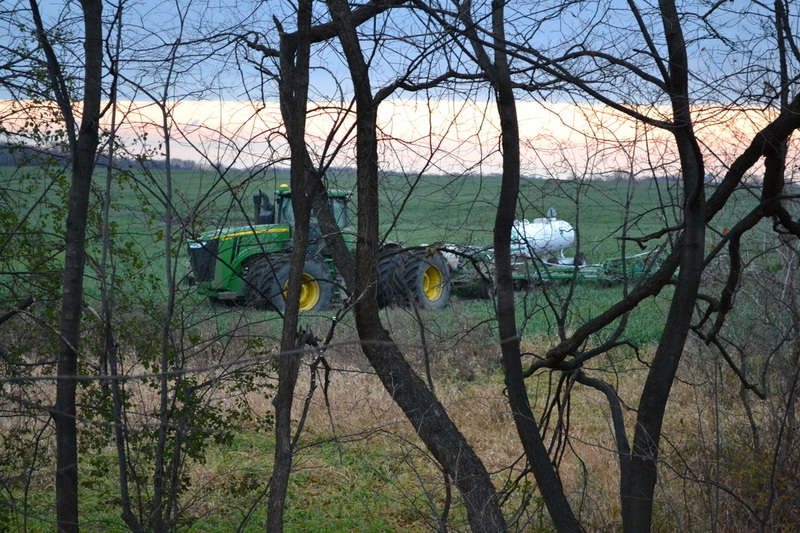 Shown above are some of Dennis Terning's equipment working the fields in November, just West of County Road 7 SW and North of Highway 12. 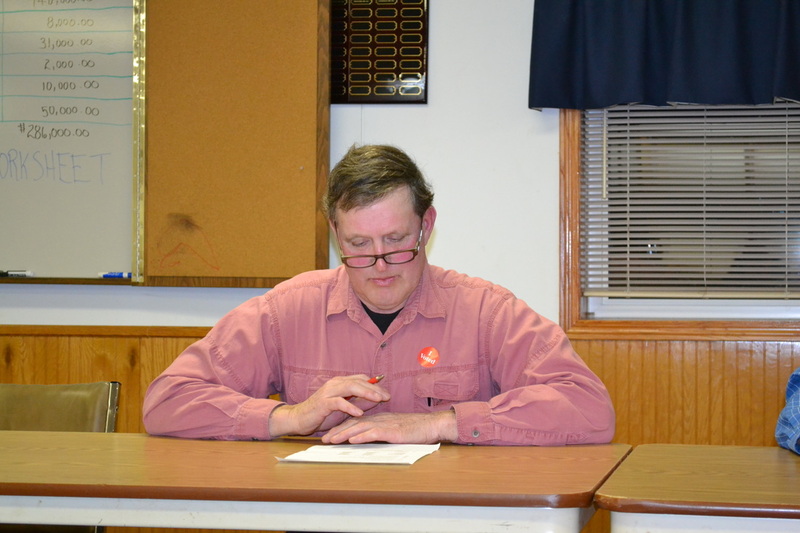 Middleville Township has a 'ghost' town within the township. 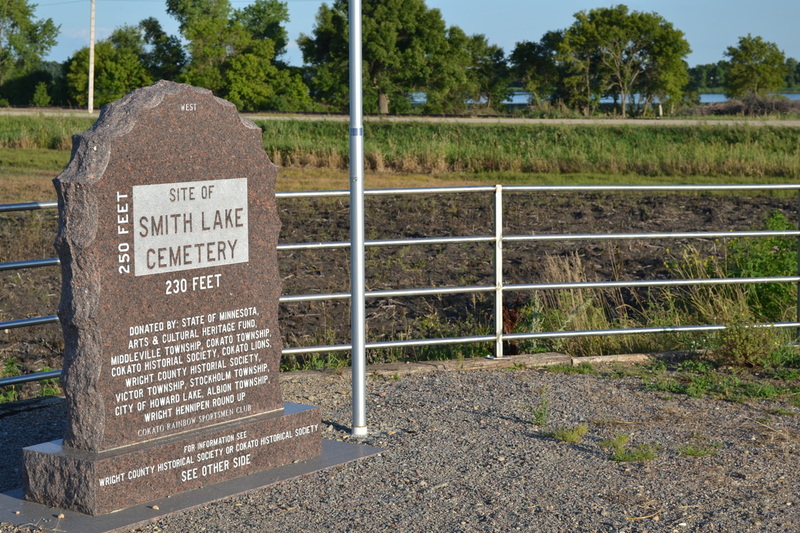 This marker is on the North side of Smith Lake (that's the lake in the right background), just west of County Road 5.